Wow! That was my first impression after slipping Doran Danoff’s latest self-produced CD, King of Crown City, into my car’s CD player. The funk was strong with this one! Born in 1981 and growing up in L.A., Danoff is a Nashville-based singer, songwriter, composer and arranger. He’s the son of Yemenite-Israeli folk-pop singer Hedva Amrani, and his musical upbringing was rich in the heritage of his family’s Middle Eastern culture. That, combined with the influence of urban L.A. culture and American popular music, provided an expansive palette for exploration by this self-taught jazz and blues pianist. Danoff began his career playing in local underground bands in the L.A. scene, where he honed his chops across a wide assortment of genres, from classical to soul to R&B to hip-hop. Making his way to New York City, Danoff went on to study Musical Composition at Columbia University, eventually receiving a graduate degree in Composition and Film Scoring from New York University. The combination of his innate musical talent with his extensive study of theory and composition has made for an eclectic, energetic blend of soul and sophistication that is both invigorating and pleasing to even the most jaded listener. 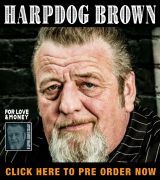 For the material on his 4th CD, Doran had, a few years ago, tracked 6 of the album’s 9 songs live-to-tape in the now-defunct Crown City studios in Pasadena, CA, with his full band and a very tight 3-piece horn section. He never got around to doing anything with these tracks until a few years later, when he shared the raw tracks with a friend who encouraged Danoff to finish them up and get them out into the wild. In the interim, he’d been working on some new songs, and decided to combine all these efforts into an album release. So, after some additional tracking, mixing, and mastering, the result was what we now know as King of Crown City. And a wonderful stew of vintage funk, soul, gospel, R&B, and jazz it has turned out to be! The musicians are all top-notch, and have put together some astonishingly tight performances. The L.A. band features Danoff on keys and vocals, along with Nick Rosen on bass, Shay Godwin on drums, Zachary Ross on guitar, as well as Tim McKay, Wes Smith, and James Blackwell on horns. The New York band featured on Young Love includes Danoff, Taylor Floreth on drums, Scott Metzger on guitar, and Jay Foote on bass. The Nashville horn section includes Fredrick Weathersby, Stefan Forbus, and Vernon James. From the funky bass riff that opens the opening track, “So Bad” (co-written with Nashille producer Tony Esterly), it feels a little like James Brown got together with the Family Stone and Prince for an all-out jam at Stax’ Memphis studios. Which is to say, a righteous, soulful, musical blast! With crisp percussion, tight horns, and a catchy chorus, it announces that this record will have some serious funk on it! The second track, “Amazed,” a song about disillusionment after being hurt by someone close to him, has an ‘Otis Pickett’ (or is that ‘Wilson Redding?’) vibe that took could easily have been produced back in the late sixties. “Young Love” channels Motown by way of the Philadelphia soul sound of Kenny Gamble and Leon Huff. Fred Wesley, the trombonist of James Brown’s band and Parliament-Funkadelic, once described the signature sound of Philly as “putting the bow tie on funk.” And that definitely applies here, in this tale about trying the navigate the intertwining complexities of youth and love. “Winning” features crisp drumming, tight horn arrangements, outstandingly rhythmic guitar work, great hooks and a memorable chorus… It feels familiar, in spite of being completely original… one of those songs you’d swear you’ve heard before, but can’t quite place where or when. “Lady Be Good” is a mid-tempo New Orleans-style rocker, and tells a story is about a World War II plane, The Lady Be Good, which disappeared without a trace on its first combat mission during the war, only to be accidentally discovered more than a decade later in the Libyan desert. The piano-driven minor-keyed “Dr. Solution” continues with the New Orleans influence, and has almost a vaudeville character to it, with a dash of Professor Longhair and Mac Rebennak (a.k.a. Dr John) thrown in for good measure. “Gertrude’s Blues” is a straight-ahead 50s-style rocker of the type you might associate with Brian Setzer. “Queen of Hearts” draws its theme from Lewis Carroll’s “Alice in Wonderland,” and the risk of going too deep into your own imagination. It features some very tasty guitar work. The closing track, “Over the Roll,” has a rootsy Americana feel, which lends itself well to the song’s theme that hope and love can help us through the challenging times. Bottom line? The bands and performances are incredibly tight and will have you tapping your feet from the very first note. Danoff’s songwriting and arranging are top-notch, his songs are lyrically interesting, and his distinctive voice sounds both fresh and yet familiar. 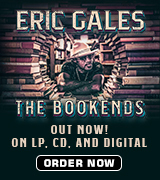 Folks who appreciate bluesy, old-school funk and soul will not be disappointed. In addition to a healthy dose of funk and soul, King of Crown City contains – to my ears, at least – traces of a wide variety of influences, from 50s rock and roll, to old-school R&B, to Broadway musicals, to gospel, to early Van Morrison, and even the Beatles (particularly the McCartney side of things). 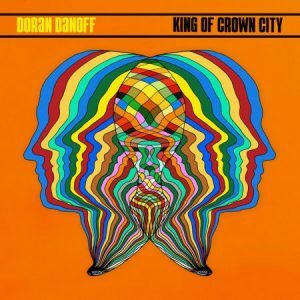 But no matter how you look at it, if you like funk, soul, and old-school R&B, you need to check out Doran Danoff’s King of Crown City!